Hello dear artists. 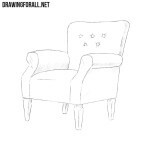 We decided that on our website should be drawing lessons about all the standard items for novice artists. 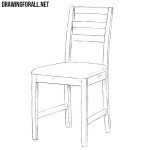 We have already drawn a chair, and in today’s lesson we will show you how to draw a table step by step. First of all, we draw a large cube. 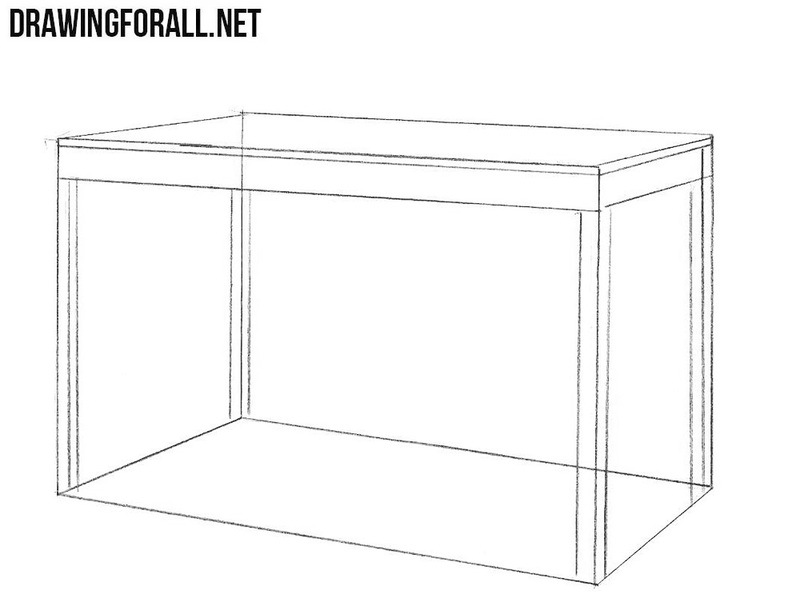 In order to do this correctly, first draw a rectangle, then draw another rectangle behind the first one and connect them with lines. Now sketch out the top surface of the table and apron. 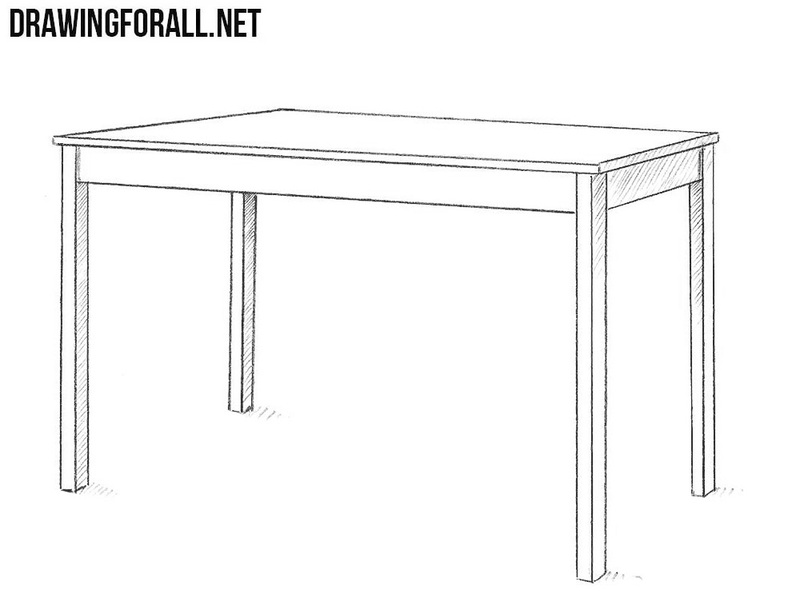 Sketch out the legs of our table. Erase all unnecessary guidelines from the table. Make the lines clear and dark. You can make lines with a ruler, but it will be better if you can manage without it. 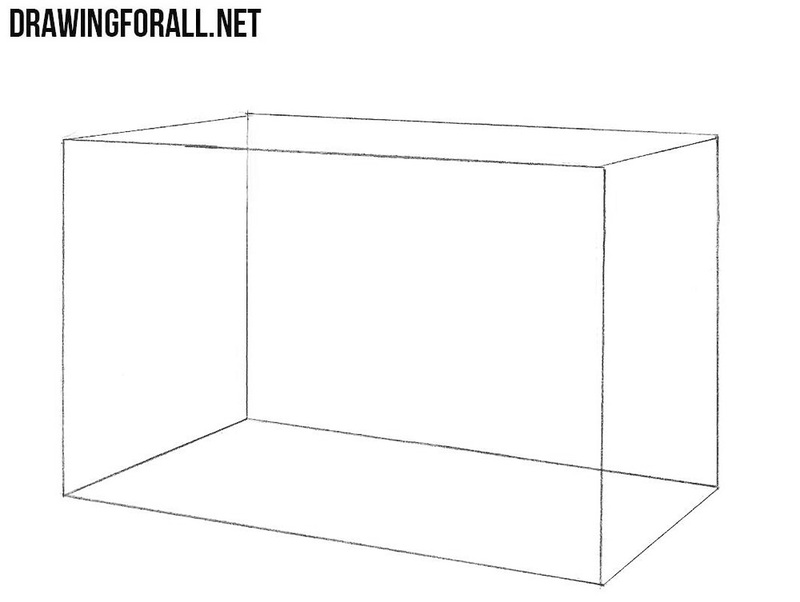 Let’s make our drawing more three-dimensional. 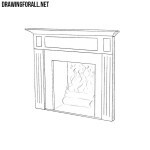 In our example light falls from the top left of the drawing. 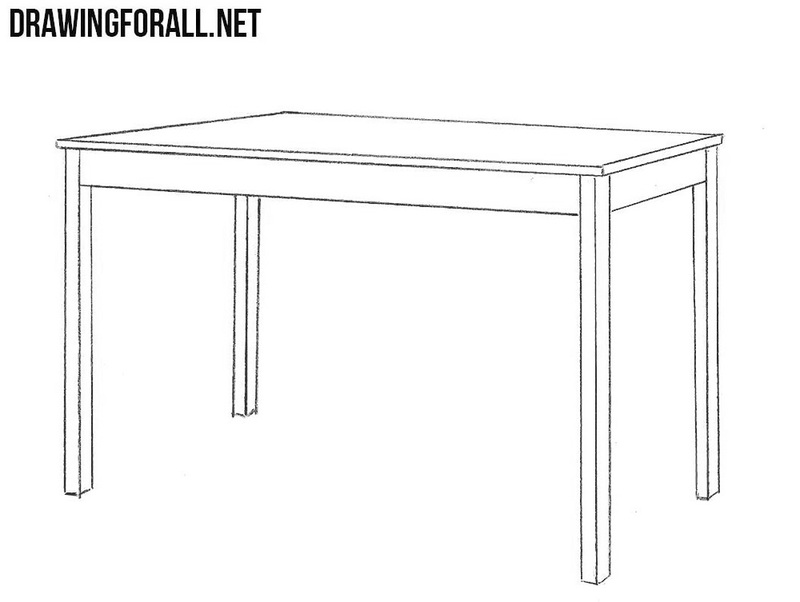 Add shadows to the unlit parts of the table, as in our example. 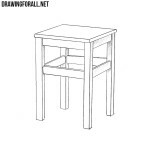 It was a drawing tutorial about how to draw a table step by step. 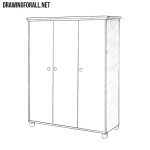 Do you want even more basic drawing lessons on our website? Write about it in the comments or in our social networks. Also share our lessons to give us an incentive to continue working.